I’ve had a lovely day in Birmingham with my sister and cousin Janet. 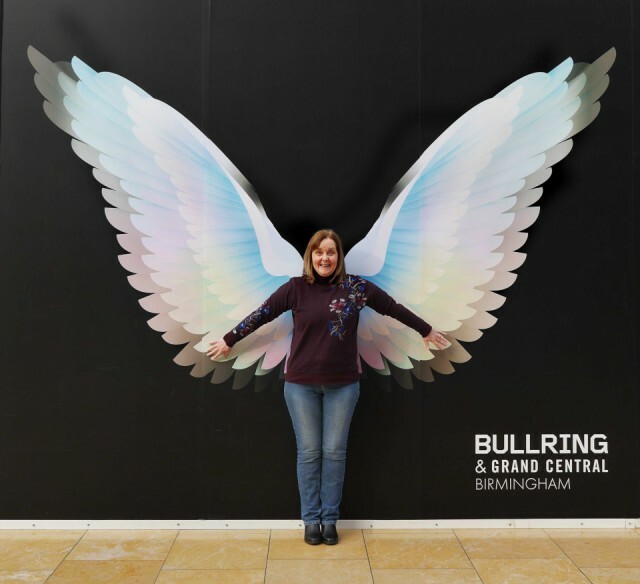 My main blip is my sister Susan in Birmingham Bull Ring standing in front of the angel’s wings. 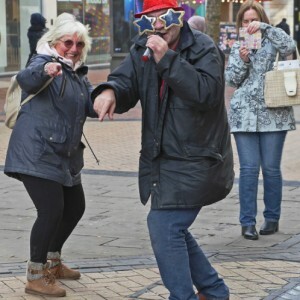 The second photo is my cousin Janet singing with a man busking in Birmingham shopping centre. 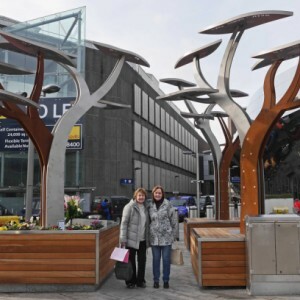 The last blip is me and my sister outside New Street Station in front of the Memorial to remember the victims of the Birmingham pub bombings in 1974 it offers "peace and hope" Three steel trees were unveiled outside New Street Station exactly 44 years after the attack. The sculpture’s leaves bear the names of the 21 victim’s. I hope you’ve all had a good day and see you tomorrow.